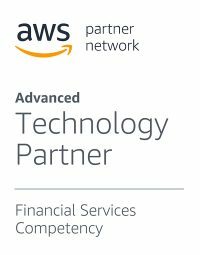 TickSmith has achieved Amazon Web Services (AWS) Financial Services Competency status as well as Advance Technology Partner status in the AWS Partner Network (APN). These designations recognizes TickSmith for delivering solutions built on AWS to help financial clients better ingest, manage, and categorize the growing amount of data that firms need to cope with to minimize risk, navigating compliance requirements, and improve the performance of running advanced analytics at scale. Vela is a leading independent provider of trading and market access technology for global multi-asset electronic trading. Vela’s software enables clients to rapidly access global liquidity, markets, and data sources for superior execution. Vela’s ticker plant, execution gateways, trading platform, and risk and analytics software deliver a unique, ultra-low latency technology stack to simplify and streamline electronic trading. Vela and TickSmith have partnered so that Vela’s market data can be ingested by TickSmith’s Analytics Platform. TickSmith’s TickVault Platform is compatible with Thomson Reuters Tick History, providing the buy side community an in-house solution to manage this data in its entirety through one single interface. To demonstrate the platform compatibility, TickSmith has launched a demonstration portal. BCC Group is a German Software Development Company with focus on software development of streaming real time financial data technology for the cloud. BCC Group’s “the ONE Solution” is the worlds first streaming real-time Financial Data Enterprise Platform in the Cloud that was approved by ICE, Bloomberg, Thomson Reuters/Refinitiv, Morningstar and other vendors. BCC Group and TickSmith have partnered to extend the ONE Solution functionality into the analytics and regulatory space. ONE Platform now can interface with TickSmith platforms to access content including historical data sets, analytics and data mining services and make these available the ONE API. DataBP, is a provider of enterprise SaaS technology suite and services for market data administration and business processes. Its services include Data Product Administration with proprietary software and services for operating a data business. DataBP also offers Redistributor Admin, a solution providing vendor of record, compliance, onboarding and reporting for data distributors. Exegy provides managed services and technology for the normalization and distribution of low-latency market data to the financial services industry. Exegy serves as a strategic partner to leading exchange and ATS operators, market makers, sell-side banks, buy-side asset managers, and proprietary traders. At the heart of Exegy’s product line are purpose-built, hardware-accelerated appliances derived from an extensive portfolio of patented and patent-pending technology. Exegy and Ticksmith have partnered so that Exegy’s market data can be ingested by TickSmith’s Analytics Platform. TickSmith is a member of the Financial Information Services Association of SIIA, a global non-profit industry forum serving the financial information industry. FISD is the global forum of choice for industry participants to discuss, understand, and facilitate the evolution of financial information for the key players in the value chain including consumer firms, third party groups, and data providers. It is a dynamic environment in which members identify the trends that will shape the industry, and create education opportunities and industry initiatives to address them. TickSmith is a member of Microsoft’s ScaleUp program. 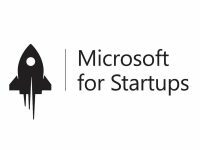 The Microsoft ScaleUp program (previously known as Microsoft Accelerator) is designed for Series A startups and offers access to sales, marketing and technical support. Eligible startups partake in the immersive program at one of our eight global locations followed by ongoing support from a dedicated team of success managers. Risk Focus is a NYC-based company that provides strategic IT consulting to global enterprises. Its DevOps and Cloud practice provides solutions, methodologies, and support guidance for digital transformation, containerization, and automation. Risk Focus’ Financial Services team offers strong domain expertise and technology acumen to deliver feature-focused solutions in Capital Markets. Our partners are an extension of our mission, enabling people all over the world to reach new summits of data innovation.